Acer’s new 2016 lineup of products features a couple of gorgeous new monitors – the R1 super thin while the XR342CK is super wide and curved – an updated TravelMate, integrated 3D cameras, and doubling down on Chrome OS. 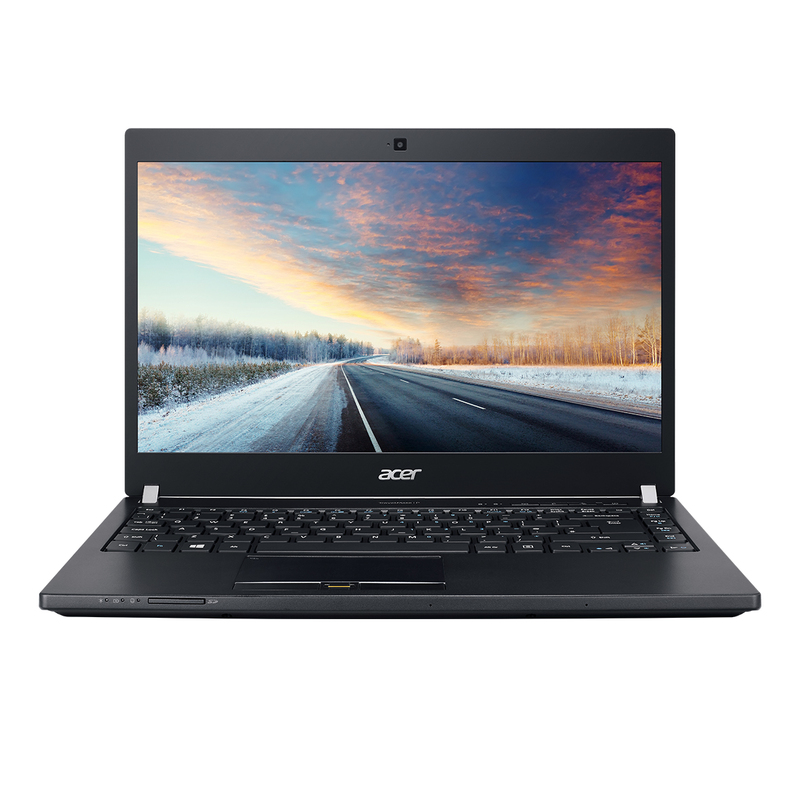 Acer updated their TravelMate commercial notebook lineup this week with the new TravelMate P648, targeting business users who need a sturdy notebook on the road. 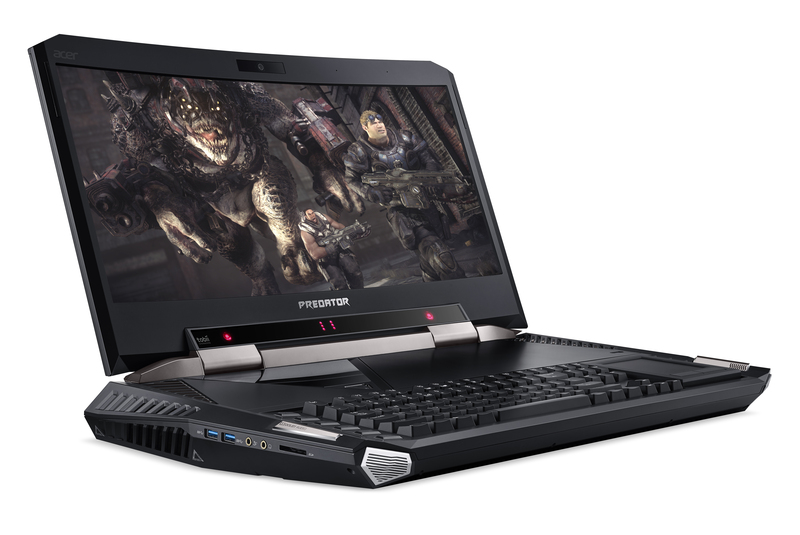 You’ll be able to order the P648 in a number of configurations, but options include a selection of Intel’s Skylake vPro processors, 1080p IPS displays, an NVIDIA GeForce 940M GPU, up to 20GB of memory and a 512GB SSD. 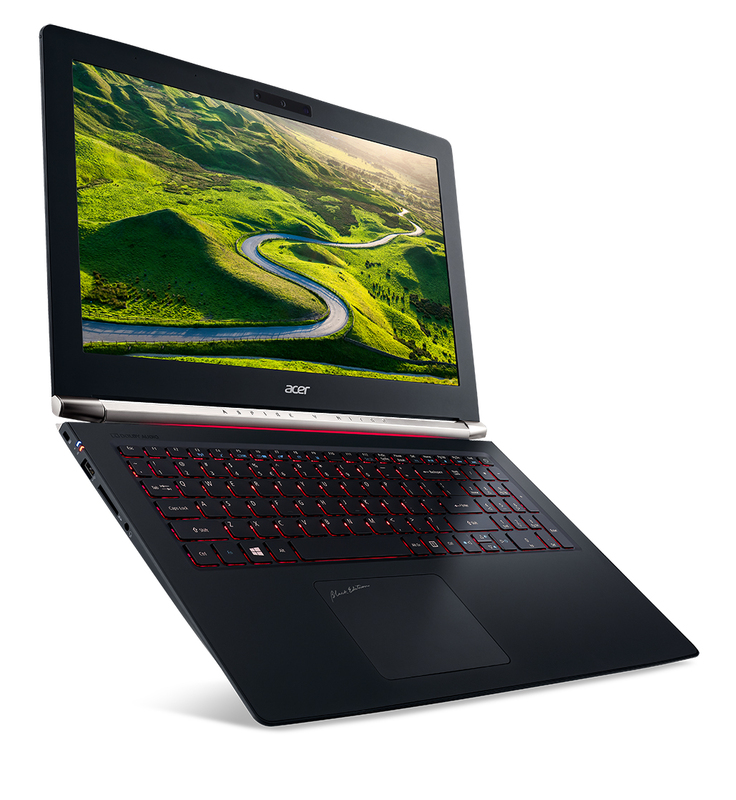 Acer tries to set the TravelMate apart by engineering a number of security features inside: there’s pre-boot authentication and drive encryption options, and a fingerprint reader built into the trackpad buttons helps secure the laptop thanks to the TPM chip. 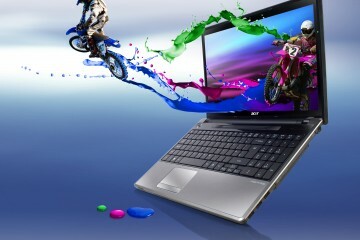 You can order one of the new TravelMate P648 laptops from this April, with prices starting at $800. 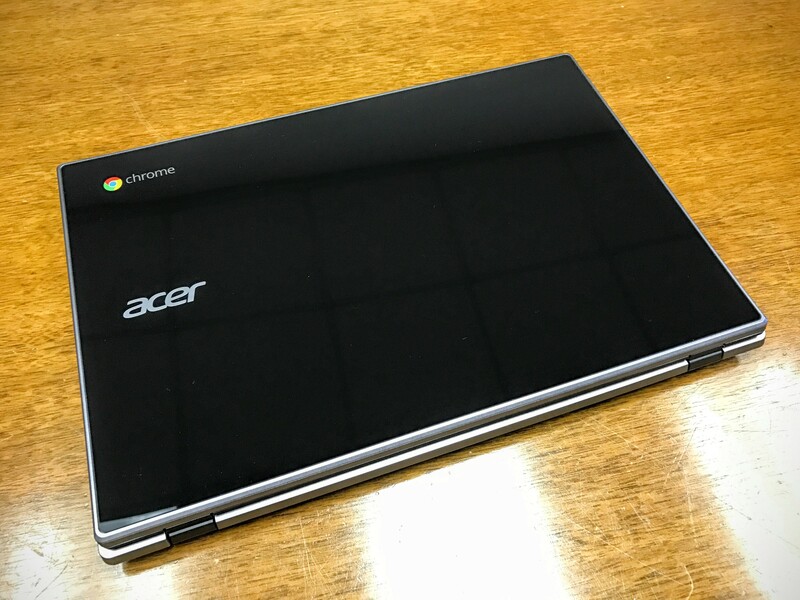 Acer’s updated Chromebook 11 features a stylish new slab design; it eschews the tapered look of most contemporary laptops in favor of something that feels a bit more modern. 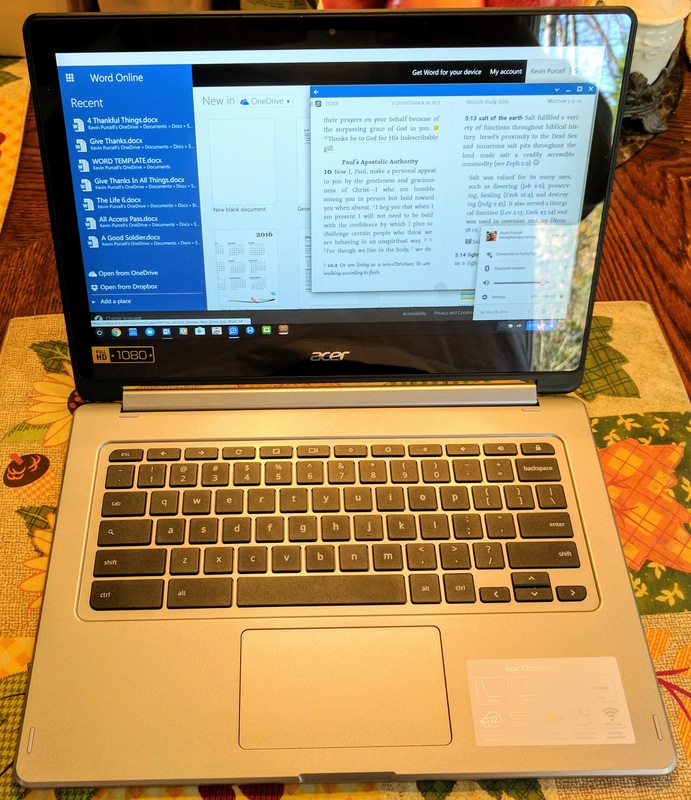 The light-colored aluminum cover adds to the premium feel as well as build quality; Acer says that the new Chromebook 11 can handle up to 132 pounds of force pressing down on the top, making it an attractive option for book-filled backpacks. Despite the sturdy build quality, it manages to weigh just 2.42 pounds. The 11.6-inch display features a 1366×768 resolution, and comes in packages with 2GB or 4GB of memory, as well as either 16GB or 32GB of storage. 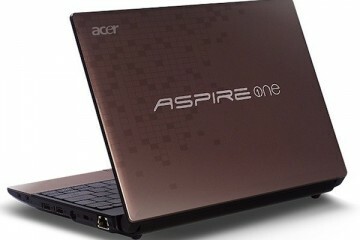 All models come with speedy 802.11ac Wi-Fi, Bluetooth, HDMI, USB 3.0, and an SD card slot. 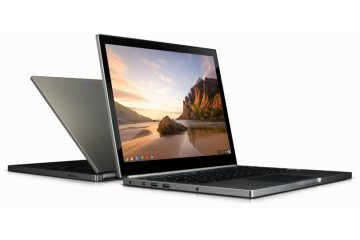 There’s also a quad-core Celeron CPU inside – so while it’s still a lower-end processor, it should be more than speedy enough to avoid the slowness that has plagued Chromebooks in the past. 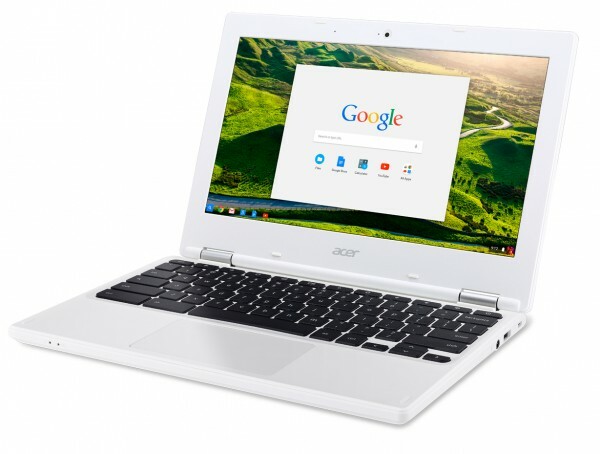 You’ll be able to snag one of these updated Chromebooks starting next month for just $180. 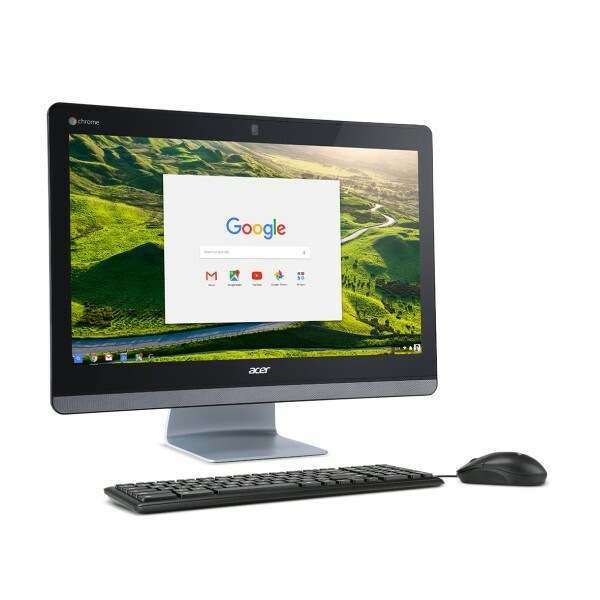 The new Chromebook 11 isn’t the only new Chrome OS device that Acer is unveiling this week; also on display is the new Acer Chromebase 24 (which, as an aside, seems to be the new name for all-in-one PCs that run Chrome OS). The Chromebase 24 wraps a 23.8-inch IPS display, with a 1920×1080 resolution, inside of a decidedly iMac-esque frame. Acer’s Chromebase 24 is powered by unnamed Intel Core processors, and while we know it’ll ship with up to 8GB of RAM, it’s hard to know much else. All models will ship with 802.11ac Wi-Fi, however, as well as USB 3.0 ports, a webcam with four noise-cancelling mics, and an SD card reader. It’ll ship later this year for an as-yet-undetermined amount of money. Acer rolled out a trio of new monitor lineups this week, each of which has its own special set of features. 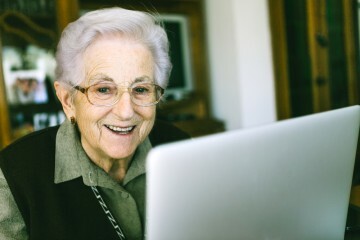 The R1 line of computer displays are designed to look good on any desk, with very thin bezels and a frame that is largely just 7mm thick – about the same thickness as a recent iPhone. 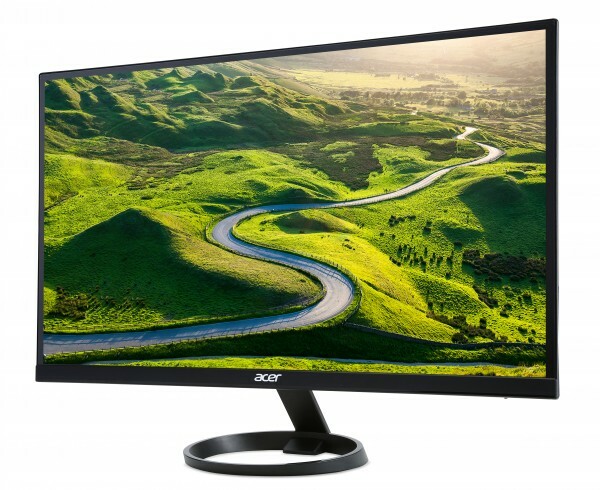 They call it the “ZeroFrame.” Acer has built in its Flicker-less (which has to do with smoothing out the output of a display’s LED backlight) and Blue Light Filter to keep your eyes a bit less sressted. Each monitor in the lineup will come with a Full HD 1080p resolution, and you’ll be able to snag them in 21.5-, 23-, 23.8-, 25-, and 27-inch form factors. They ship sometime in the first quarter and start at $130. The H7 monitor lineup adds to the design-centric R1 monitors by adding in premium build materials like a brushed metal stand. 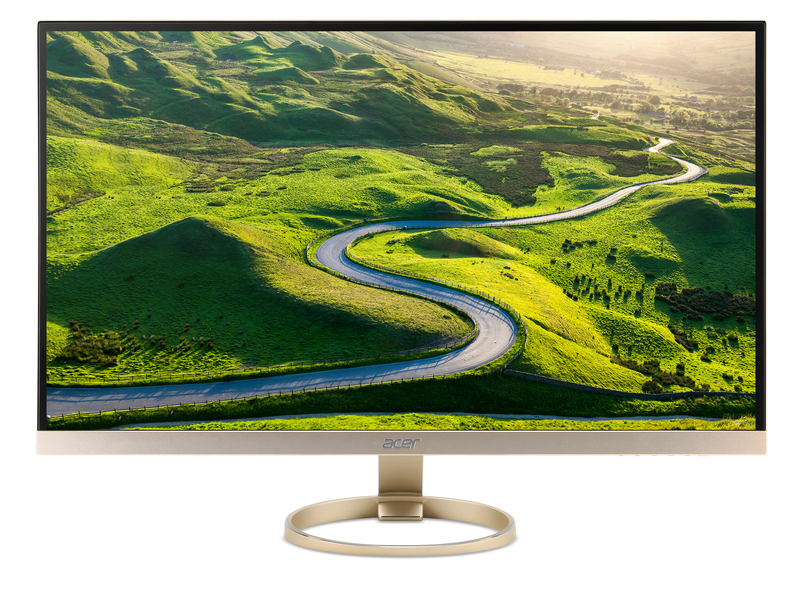 It also comes with a USB-C port that lets you connect both data and power – you’ll be able to charge your smartphone or laptop at the same time as you display its video on the H7 displays. 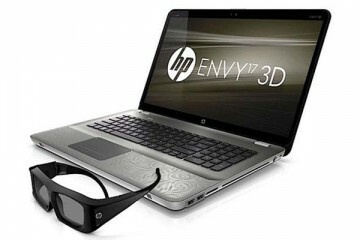 Coming in both 25- and 27-inch sizes, both displays feature a 2560×1440 resolution. 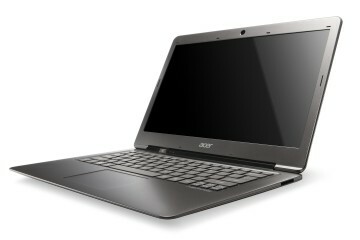 They also have built in speakers mapped with Acer’s custom EQ software. Finally, both H7 monitors display fully 100% of the sRGB color gamut, making them a good option for design-oriented users. The Acer H7 monitors roll out next month, with a starting price of $500. 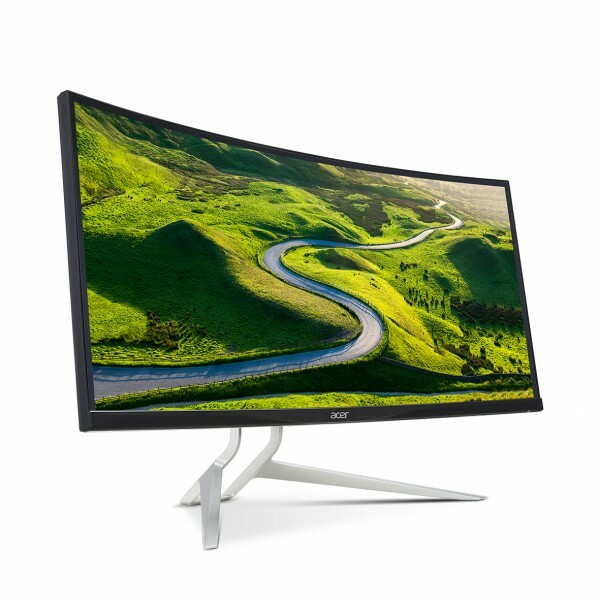 Acer isn’t new to the UltraWide display game (n.b. 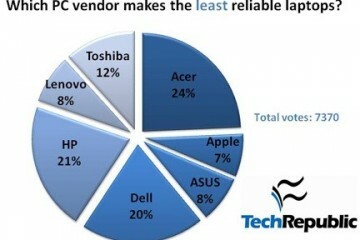 : most computer displays today have a 16:9 aspect ratio; UltraWides have an aspect ratio of 21:9), but previous displays have suffered from QC issues. The new monitor offers 100% of the sRGB gamut, like the H7 lineup, but also builds in AMD’s FreeSync technology for tear-free gaming. There’s no price or release date set for the XR in the US, but based on the EMEA price, you can expect it to run between $1100 and $1300. Acer also took the time to announce integration with Intel’s line of RealSense cameras into their flagship Black Edition Aspire V Nitro notebooks. Coming on both 15- and 17-inch models, the cameras enable Microsoft’s Windows 10 facial login system as well as all sorts of new gesture controls. Models featuring the new camera system will be available in February, starting at $1100. Acer also showed off the new Acer Liquid Jade Primo smartphone. 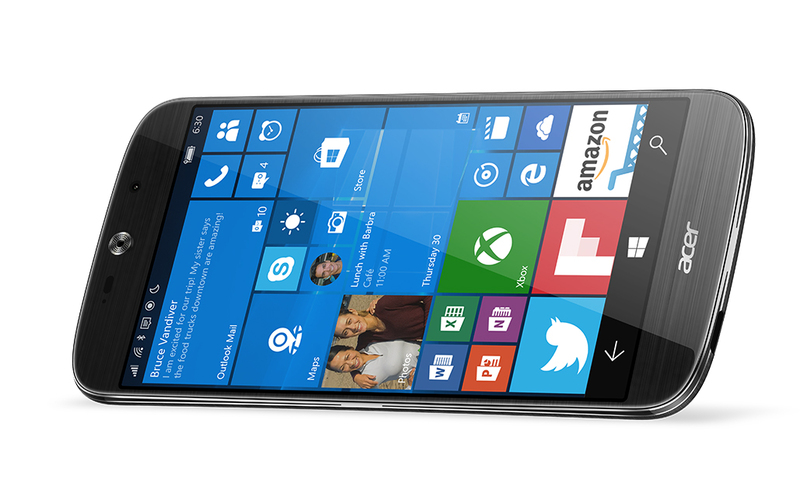 Although currently there aren’t plans to bring the Jade Primo to the U.S., it’s so rare to see non-Microsoft Windows Phone devices these days that it’s hard not to write about it. With a 5.5-inch, 1080p, AMOLED display, the Liquid Jade offers a curved back to make it comfortable in hand. Inside is a Qualcomm Snapdragon 808 processor and 3GB of RAM as well as high-speed LTE and 802.11ac Wi-Fi. The rear-facing camera delivers 21MP images with an f/2.2 auto-focus lens and 4K video, while the front-facing camera uses a wide-angle lens partnered with an 8MP sensor capable of 1080p video recording. While the Liquid Jade Primo will be rolling out in Europe and elsewhere next month, potential US pricing might see something like $500 – $600.